There are many car rental companies operating in Ireland. Most are household names and are well known and reputable. Many have depots and desks at the main airports including Dublin. When renting a car in Ireland, if you have pre-booked a car using a credit card you must present that credit card and a valid national driving licence when you arrive. 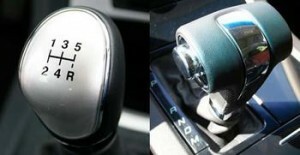 If you are used to driving a car with an automatic gearbox, now is not the time to start experimenting with a stick shift. Most rental companies will have a range of both types. Try to rent the type you are most comfortable with. Larger cars are generally more expensive than smaller cars and fuel costs will be greater also. Depending on your budget and the number of passengers, select a suitably sized car. But don’t make the trip uncomfortable by trying to cram too many passengers in a smaller car. Bear in mind also that many rural roads are narrower than what you may be used to at home. Car rental charges generally include insurance cover including some level of CDW (Collision damage waiver). The default level of CDW varies from one company to another but often has a deductible of up to €1500 which you may end up paying in the event of an accident. Most companies will offer an extra level of cover which will reduce the deductible to almost zero. Many credit cards also cover collision damage but experience seems to indicate that sorting problems is much more difficult through credit card cover than with extra CDW cover. Either way, it is vitally important that you know what cover you have. Ask at the desk and if your budget can afford it, do take out that extra cover. It ensures peace of mind during your stay. We have seen instances of very minor damage, incurred while the car was parked, costing €1500. And, unfortunately this is taken from the renters credit card on return of the vehicle. (Disclaimer: We have no interest in any insurance company nor do we get paid for promoting any insurance products. The advice offered here is purely our own opinion based on experience). Please be sure, before completing the rental agreement that you are aware of any existing damage, even slight scratches, scuffs or dents. We strongly advise that you photograph all sides of the vehicle, especially any marks or damage and bring it to the attention of the company. This will help to prevent any disputes when you return the vehicle. 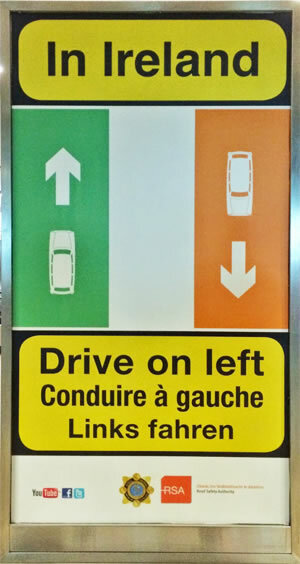 Please note that driving in Ireland is on the left. Visitors who are coming from countries where driving is on the right should take extra care. It takes some time to adjust to driving on the left. Speed limits are monitored by mobile cameras and by Gardaí (Police) and are enforced quite strictly. Penalties and fines incurred are likely to be deducted from the renter’s credit card. Note also that many roads in Ireland’s most scenic spots are quite narrow, so extra care is needed. Wearing of seat belt is compulsory and there are strict drink/driving laws. The best advice is ‘Don’t drink and drive’. Nominate a designated non-drinking driver when necessary. It is an offence to use a mobile phone while driving. Parking in the cities and towns is usually paid for by meter or ticket machine. It is important to ensure that the appropriate fee is paid as the fines can be fairly substantial and in the cities clamping is in force. Apart from the inconvenience involved, getting unclamped can be quite expensive. Motorway tolls generally cost €1.90 for cars (extra for buses) at the tolling booth except for the M50 where there is barrier free tolling. Ask your rental company about charges. Most of the well-known names are available in Ireland including Hertz, Avis, Enterprise, Europcar and more. 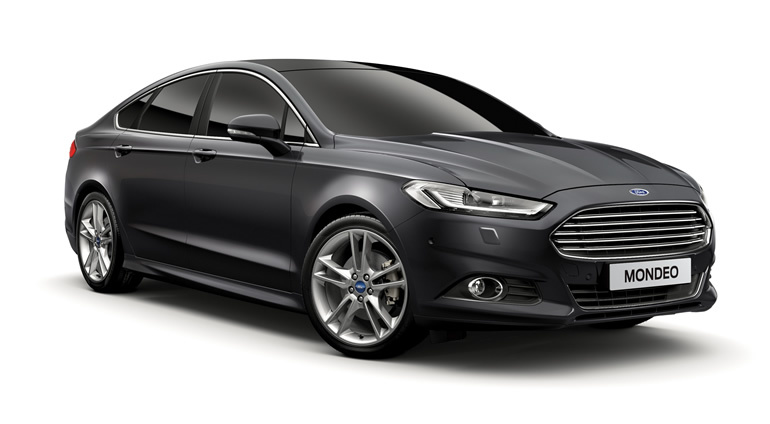 Our preferred rental company is carhire.ie. They have a wide range of cars at Dublin, Cork, Shannon, Knock and Kerry Airports as well as in Dublin City, Cork City, Galway City, Navan, Athlone, Cavan, Portlaoise, Waterford and Drogheda. Overall, driving in Ireland is relatively easy and relaxed. Just take care and enjoy your trip.